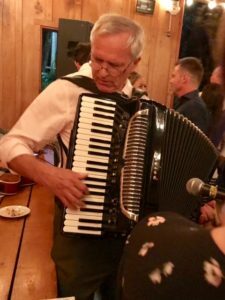 We had the pleasure of renting out a Petosa accordion to a young gentleman named Richard Szewczyk. He’s played accordion for most of his life, and remarked that the Petosa was the nicest accordion he’s ever played! Richard lives in Perth, West Australia. His heritage is Polish. He came to Portland Oregon to play for his nephew’s wedding in August, at Bridal Veil Lakes. Student Sean Kennedy Meets Weird Al! A student of ours meets Weird Al!